The first of its kind to be opened in the United States, Oakland's Cat Town Cafe is a truly heartwarming experience. Part cafe and part cat shelter, this cafe is run by the non-profit Cat Town Oakland, which is dedicated to finding foster and forever homes for homeless cats in and around the Oakland area. The cafe consists of two different areas separated by a dividing wall: the cafe proper, where patrons can order coffee, espresso drinks, tea, and pastries, and the cat zone where all of the adoptable cats are free-roaming. 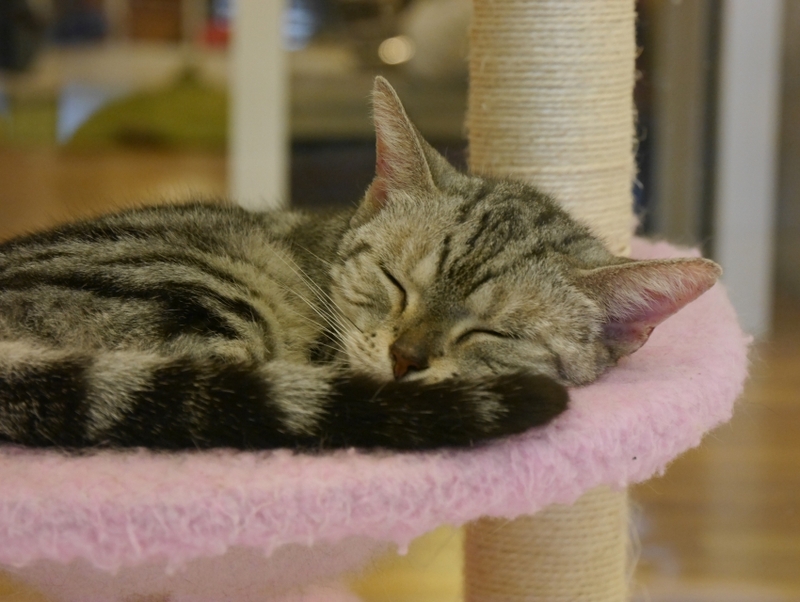 Visitors to the cafe can take their drinks into the cat zone and spend up to an hour petting, playing with, and getting to know all of the cafe's feline residents. Reservations are highly recommended, as Cat Town Cafe is extremely popular, and can be made online. A $10 donation, which goes towards providing food, shelter, and care for the cats, is required for all patrons who make a reservation. Free-of-charge walk-ins are also available at the cafe, but are only available as time and space permits.